With everyone today aware of the harmful effects caused by smoking, more and more people have turned to ecigarettes in recent years. 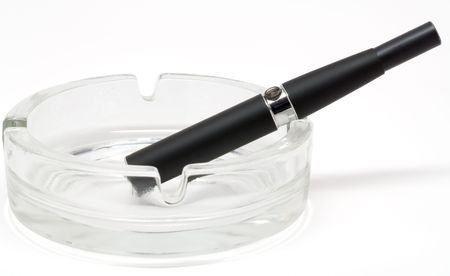 While these devices are beneficial for those who are trying to quit or are looking for an alternative to traditional cigarettes, ecigs can potentially be just as dangerous to our pets as second-hand smoke from traditional cigarettes. Nicotine poisoning in pets has been on the rise in recent years and it’s important that ecig users understand the impact that they have on their homes. Unfortunately, the scent of the tobacco is alluring to animals, which is why your dogs may be trying hard to ingest them. Each ecigarette cartridge generally contains the nicotine equivalent of two traditional cigarettes, which means that after ingestion, pets can experience symptoms of nicotine poisoning relatively quickly, with sometimes quite serious complications. Small dogs, in particular, are more susceptible to these dangers. While no dog should ingest a nicotine cartridge or get into a refill bottle of ecigarette fluid, a larger dog may only show minor symptoms, whereas a smaller dog that ingests that same amount could experience serious and even fatal problems. If your pet does ingest nicotine, it’s important to seek veterinary care quickly, even if it is a small dose. Of course, prevention is always the best medicine, so keep your ecigarettes, cartridges and any liquid vials out of reach of pets and children to prevent any problems from occurring. Here at Pauley’s Pups, your dog’s health is our main concern. From finding a new companion for your home to helping your dog maintain a healthy coat and appearance, you, your family and your pet are our priority. To learn more about our currently available pups, give us a call at 804-798-7877, and keep checking back to our blog for more tips and advice to care for your pet.